One day. Twenty-four hours. One thousand, four hundred and forty minutes. For most, one day doesn’t seem like much. Monday runs into Tuesday, Wednesday becomes Thursday, and so on. But to a dog or cat in a shelter, one day can be the difference between life and death. On Monday, June 11, we’re going to help try and change that. As part of the Just One Day movement, TylerDog Photography will be traveling across the State of Oklahoma photographing shelter dogs and cats in hopes it will help them get adopted faster. We’ll start out in the wee hours of the morning to arrive at Sulphur, OK at 9 a.m., where we’ll photograph their available dogs. After wrapping up there, we’ll travel to the Moore Animal Shelter where we have 25 dogs and 20 cats slated for their rockstar moment. Finishing up at Moore, we’re off to Piedmont and Haven of Hope Rescue Foundation* where we’ll finish up with all their adoptable dogs. Nine hours of travel, 477 miles, and approximately 70-plus dogs and cats. A long, but ultimately rewarding day to help these babies find forever homes. The brainchild of Animal Ark, a no-kill shelter in Minnesota and the No Kill Advocacy Center in California, Just One Day hopes to show there are alternatives to euthanizing millions of animals each year as we currently do. 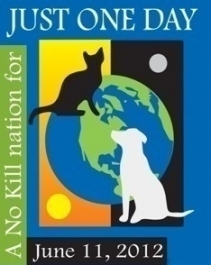 Just One Day encourages shelters to not euthanize for one day, instead picking up cameras and photographing their adoptable animals, posting them on the Internet and networking them, so for one day, we can be a no-kill nation. Do professional photos really make a difference? You be the judge. My friend, Camden, and I went out to take photos of Ballantine, a dog that was abandoned in a boarding facility. While I was putting a new, pretty collar on Ballantine, she took a photo of him (top left) that is typical of many shelter photos posted on PetFinder and other animal networking sites. He’s behind the fence with a sad, pathetic look on his face. Honestly, Cam’s photo is better than some I see because it’s in focus and you can see his face fairly well. But still, he looks way too sad and it doesn’t show his personality at all. Once we took Ballantine out of the kennel, we let him play for a bit, then got down to work. With Camden handling the leash for me, Ballantine posed in a variety of ways that showed off his happy, exuberant personality. Now, which photo would encourage you to adopt Ballantine? Which photo shows him as a dog you could envision sitting next to you on the couch or going out for a walk? Which one gives Ballantine a better chance at survival? By the way, as payment for all his hard modeling work, Ballantine received lots of tasty Old Mother Hubbard treats and a brand new bone to chew! In all fairness, shelter workers are overworked and underpaid. They don’t have time to take professional portraits like this, so it’s up to you and me – the volunteers – to get off our duff and help them out! I’ve been photographing shelter animals a long time and yeah, it’s hard work. You come home stinking, reeking of poo and pee sometimes. The old knees don’t like concrete much. Equipment gets dirty and worn out. But it’s worth it. One volunteer told me, “You love what you do!” I asked why she said that. She replied, “Because you have the biggest smile on your face! You’re lying on gravel, it’s freezing outside and you’re smiling!” I guess she’s right – I do love what I do because I’m helping change lives. If you need inspiration, join HeARTs Speak, an organization I belong to that’s dedicated to uniting artists and photographers with shelters and animal relief organizations in order to save the lives of animals and better the lives of people. Find a local shelter or rescue and help them! You don’t have to be a professional photographer with a carload of equipment or thousands of dollars worth of cameras to do this. A good camera and understanding of exposure and composition is all it takes. Alissa Umberger, a 13-year-old, is photographing shelter animals at her local shelter in Texas and this kid is making a difference! What will you do with just one day? *Haven of Hope has been and always will be a no-kill facility. They are participating to show solidarity with shelters that face the unfortunate decision of euthanasia. Thank you, Margaret! I love helping Haven of Hope. They’re awesome people! Saw your story on Channel 2. What a great gift you are giving to these animals. Thanks for all your hard work. You’re an angel! Sorry, just now saw this. Yes, we have a Chipin established for Huckleberry. Or you can send it to sherry@tylerdog.com. Thank you, Jodene! I’d like to make a very small donation towards Huckleberry’s surgery. Do you use PayPal? The pictures you took of the puppies at Haven of Hope are magnificent. They are beautiful — the pictures AND the dogs! You guys are AWESOME! The pictures are so beautiful, thank you for helping the doggies <3. 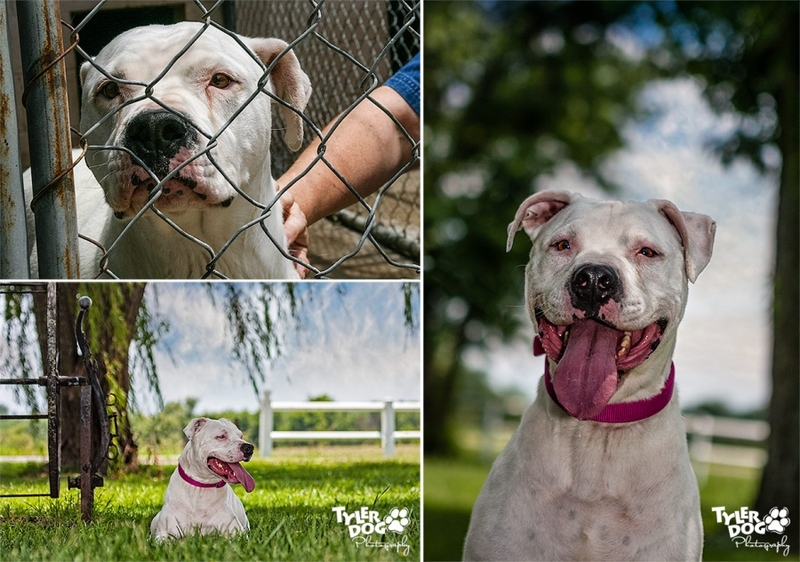 Thank you for all of your hard work to photograph shelter dogs. I love the pictures of the dogs you took in Bartlesville, OK. I had the pleasure of driving some of these dogs there from Altus, OK. You captured their personalities to a tee, giving them a brighter chance at finding their forever homes! So thankful for all your hard work and dedication. AND, it was very nice to finally meet you! Wonderful message, wonderful photos, and your one wonderful person. Thank you so much for helping shelter pets! Copyright © 2012 TylerDog Photography. All rights reserved.|ProPhoto Photo Theme by NetRivet, Inc.